Bayfield Middle School students are active and engaged 21st Century learners! We understand that the learning resources and content cannot be contained in a single textbook or resource. Higher education and on-the-job training has also entered the online realm. For these reasons and more, BMS supports all classroom learning with an online Learning Management System (LMS) called Schoology. Schoology provides a simple interface for students and teachers to navigate and manage content. Teachers get the benefit of supporting all online lessons with guidance and support, and students have a convenient one-stop location for turning in work and receiving feedback. Parents have a powerful portal that gives access to student progress, course content, and teacher feedback. Blended learning serves three purposes. First, it engages learners and adds a personal touch to learning and feedback. Second, it enhances lessons. Students have access to interactive content that can be differentiated to their level, needs, and interests. 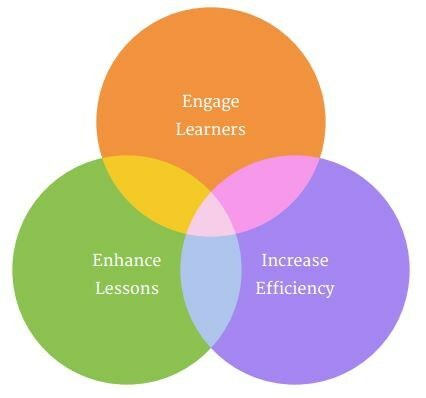 Finally, blended learning increases efficiency. Students can interact with each other in new and professional ways. Schools can go paperless and receive all feedback electronically in one place.